Born to a family of artists, Philip D. Colgan studied his craft as a boy and won his first portrait commission at the tender age of 12. He has created art steadily since, building a name for himself nationally for his oil paintings, portraits, landscapes and restoration work. 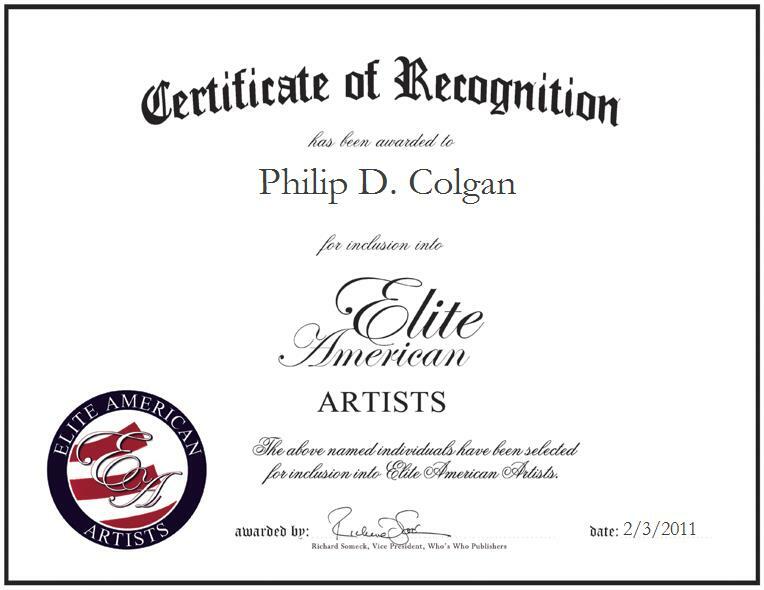 The eponymous founder of Philip Colgan Art Studio, he also has 28 years of experience as an art teacher. Mr. Colgan attended the York Academy of Art and studied the Old Masters in Western Europe. He is affiliated with The Art School and Galleries of Mechanicsburg and The Art Association of Harrisburg. To view his work, please visit http://www.creativegalleries.com.